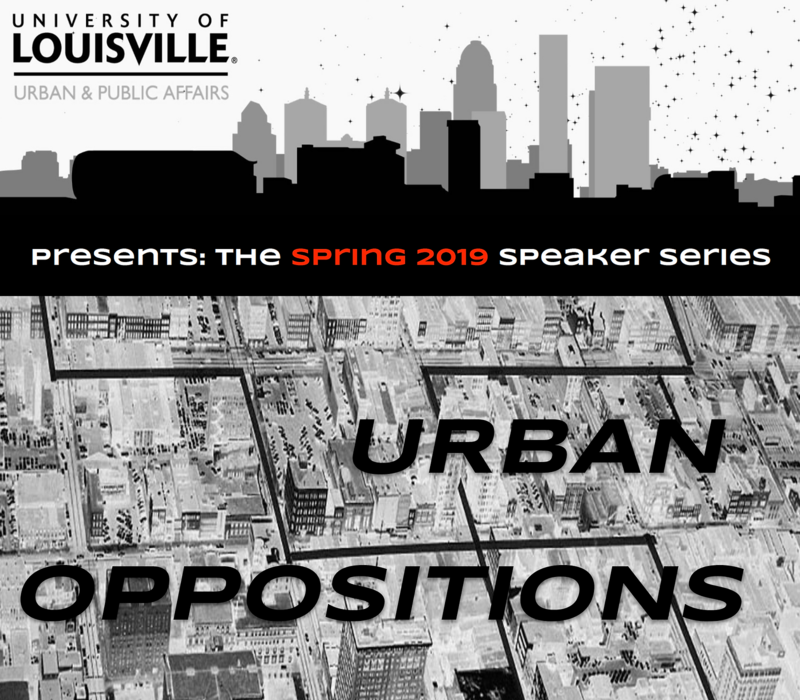 UofL's department of Urban & Public Affairs invites you to join us for the spring lecture series, Urban Oppositions. March 20th will feature a wonderful discussion with Cassia Herron, advocate, activist, and planner. Cassia will take the controversial position that Opportunity Zones will be more damaging to the city than Urban Renewal. All are welcome for the conversation, no matter your field or specialty! Urbanism is and has always been a transdisciplinary endeavor, and there is no better space that this in which to begin to engage in these discussions/debates. This series is designed to engage students, faculty, staff, and the public around issues of urbanization, sustainability, the just city, and what it all means for our home city of Louisville.